Last year ended on a high note for the email industry, with data from Movable Ink’s 2015 Consumer Device Report revealing that retail mobile opens spiked as high as 90 percent during the weeks leading up to Christmas. The highlight of the study found that even though Q4 saw 69 percent of all email open happen on mobile devices, many shoppers shifted back to desktops to make purchases. 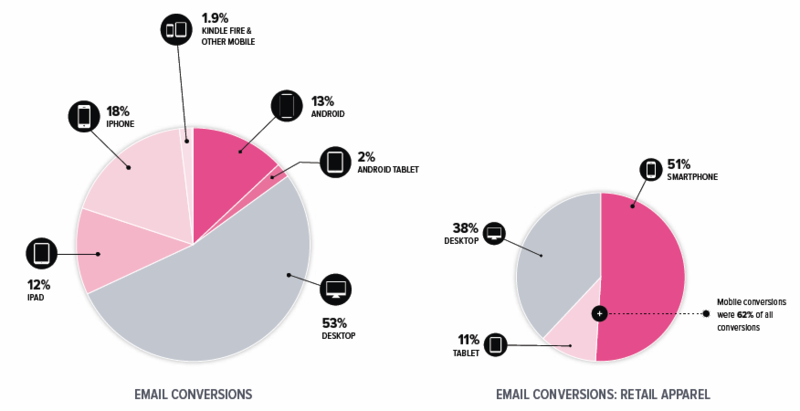 This shows that desktops are still important when it comes to conversions. In fact, of the 1.4 million conversions from email in 2015, 53 percent happened on desktops. The retail apparel industry, however, was an exception, as this industry actually saw a 62 percent mobile conversion rate in 2015. 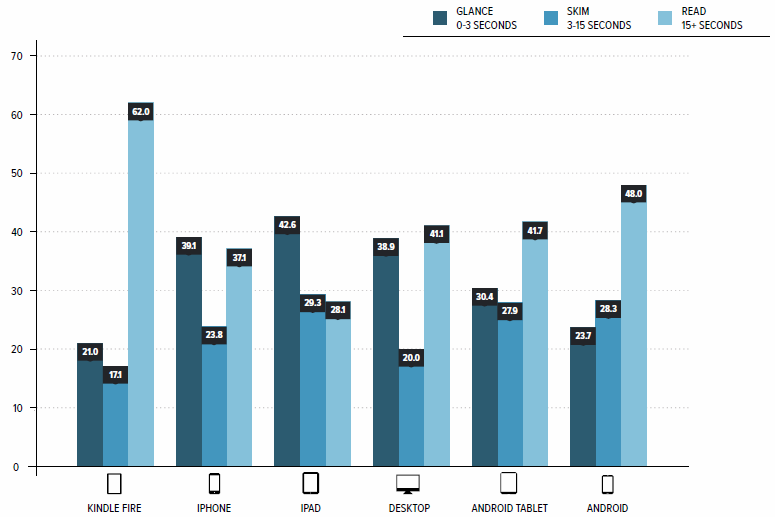 Additional data from the study shows that iOS users spent the least amount of time in 2015 reading emails, with most just glancing at messages for three seconds or less. That said, Kindle and Android users spent the most time in email, with 62 percent of Kindle users spending 15 seconds or more reading their messages, followed by 48 percent of Android smartphone users.